Sometimes political correctness is simply an exercise in futility. That would seem to be the case with the likely removal of a phrase from diplomas awarded by Trinity University in San Antonio. After reviewing how private colleges and universities, once religious, become thoroughly secularized, Albert Mohler explains why this solution solves nothing — the year on the diploma will still be indicated by a number, after all. .... The second important dimension of the controversy is the insanity of thinking that the removal of the words “in the year of our Lord” will accomplish anything. Sidra Qureshi complains that the words are “directly referencing Jesus Christ, and not everyone believes in Jesus Christ.” Well, if those words offend anyone, how can they not be offended by the name of the university itself? Some have tried to explain the name in terms of the fact that the school had three predecessor institutions and was located in three Texas locations, but no one is denying the central fact that the word “Trinity” is a direct reference to the central Christian belief about God — and about Jesus Christ. And what would the removal of the words “the year of our Lord” accomplish? That system of calendar dating can be traced back to Dionysius Exiguus, an abbot who in the year 525 constructed a new chart of Easter tables, changing the numbering of the years from the year one starting in 284, the year that Emperor Diocletian ascended to the throne, to what Dionysius calculated to be the year of Christ’s birth. Dionysius referred to the years after the birth of Christ as anni Domini nostri Jesu Christi (the years of our Lord Jesus Christ). The Trinity University Board of Trustees voted Thursday to keep the words “in the year of our Lord” on its diplomas, according to a news release from the university. The trustees approved a resolution acknowledging the institution’s heritage and culture and affirming a campus environment that fosters respect for differing opinions, including differences in religious beliefs and practices, the release stated. 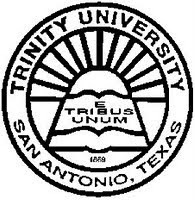 “The Board’s decision reflects its desire to continue a Trinity tradition, and the words ‘in the year of our Lord’ are appropriate for the diploma given Trinity’s history and heritage,” said Walter R. Huntley, vice chairman of the Trinity Board of Trustees. Thanks for the update, Tom.